12 lasagna noodles, cook according to package direction, drain and set aside. 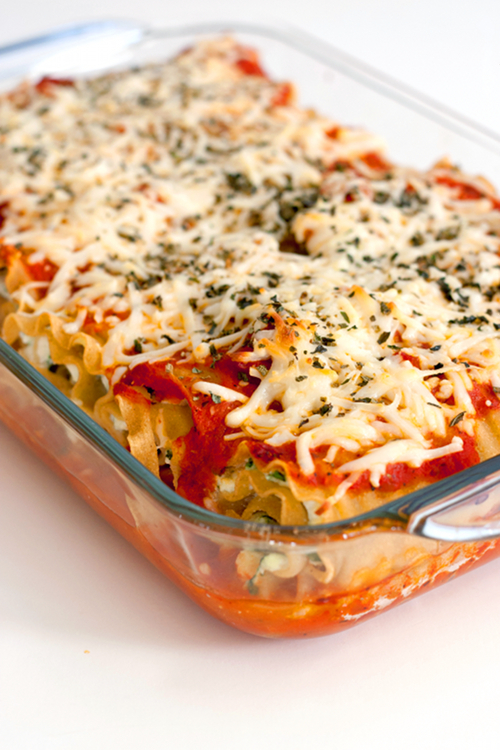 Preheat the oven to 375 degrees F. Pour one cup of marinara sauce into the bottom of a 9 X 13-inch lasagna dish. 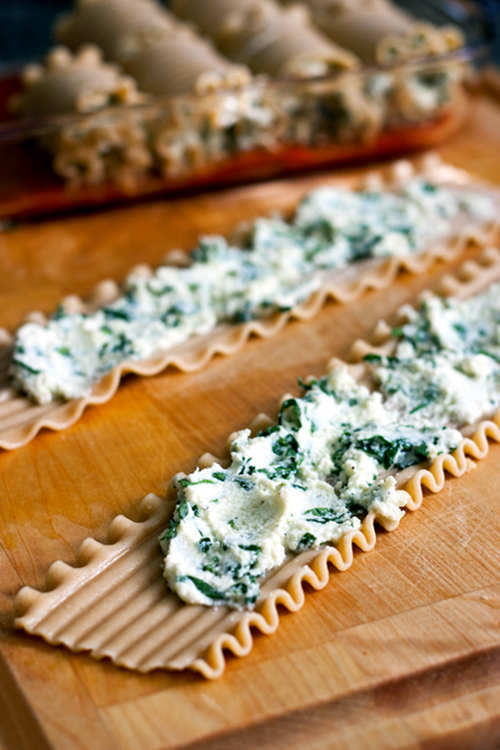 In a large mixing bowl, combine ricotta cheese, egg, chopped spinach, parmesan cheese, salt, pepper and nutmeg. 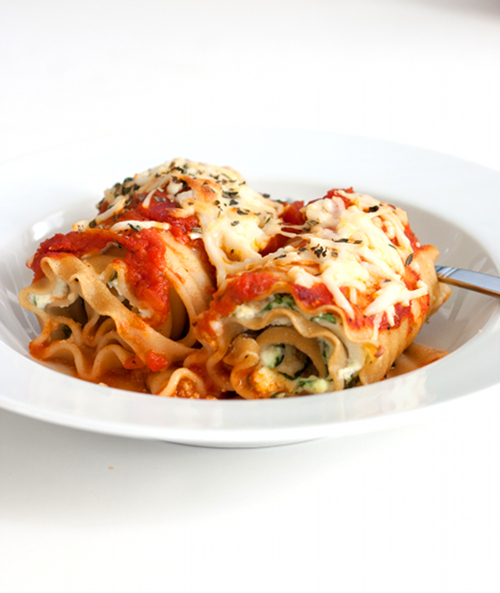 Divide the cheese mixture into 12 portions, spread each portion onto lasagna noodle and roll up carefully. Place lasagna roll seam-side down in the lasagna dish. Repeat with the remaining noodles and cheese mixture. Top the lasagna rolls with the remaining marinara sauce. 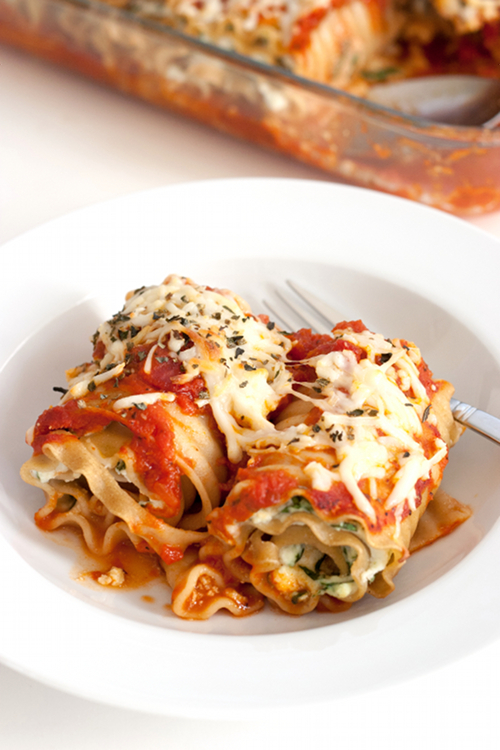 Spread grated mozzarella cheese over the sauce and sprinkle with oregano. Bake in the oven for about 25 minutes, or until the cheese on top turned bubbly and golden brown. Serve immediately. Heat olive oil in a saucepan over medium heat. Cook garlic until tender, then add crushed tomatoes, oregano and basil. Bring to boil and reduce the heat. Let the sauce simmer for about 15-20 minutes, stirring occasionally. Season with salt and pepper. 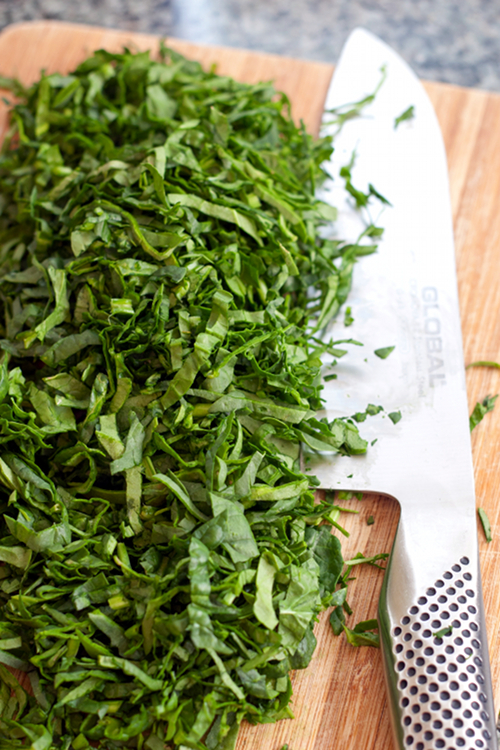 Serve immediately or store in a refrigerator for up to 1 week. I love your pictures and recipes. I'd like to inform you of a great new website www.foodieportal.com. I would like to invite you to come and join us and share your wonderful pictures with us. We are simply foodies and we are not photography snobs, so picture perfection is not important, all we care about is delicious food. Is the EGG a most?? I don't eat them and was hoping I could by past it.